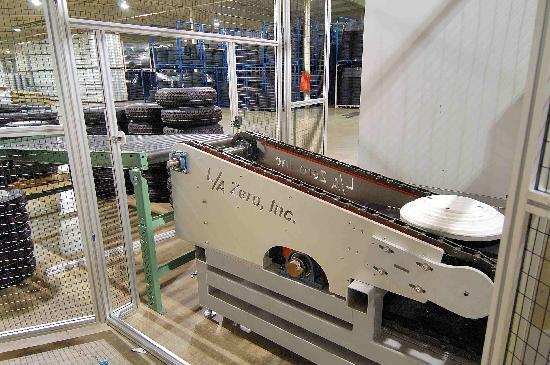 Our Automatic Tire Inflater can iinflate 12" diameter to 18" diameter wheel assemblies up to 600 per hour. 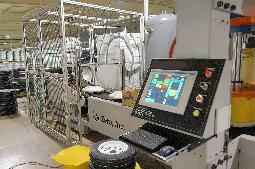 Loading in automatic mode has a light curtain trigger that activates the wheel index after wheels are placed on the conveyor pallets. If tire is present in inflation station, then an inflation cycle is intiated. 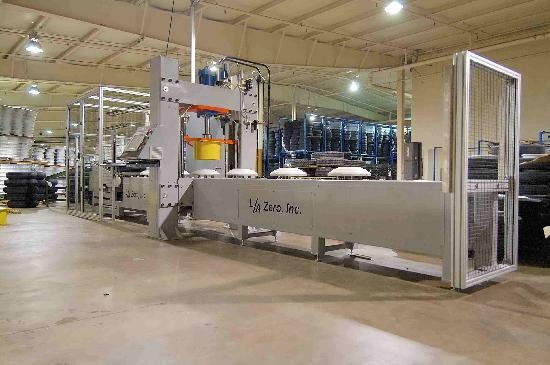 an automatic uloading system on the end of the machine unloads onto a gravity conveyor. 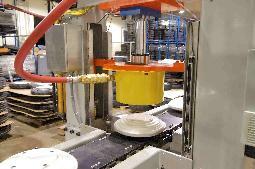 A sensor on the gravity conveyor stops the machine if full untill cleared. All set up is via touch screen interface, with the exception of the inflation heads which are changed to match rim sizes. Inflation pressure is set and can be maintained up to +/- 1 PSI. Production logging and recipe storage are also available as options. Remote system maintence via the internet is also available. Inflation is controlled by a unique hydraulic servo controlled system with which set point accuracies of +/- 1 PSI can be acheived. 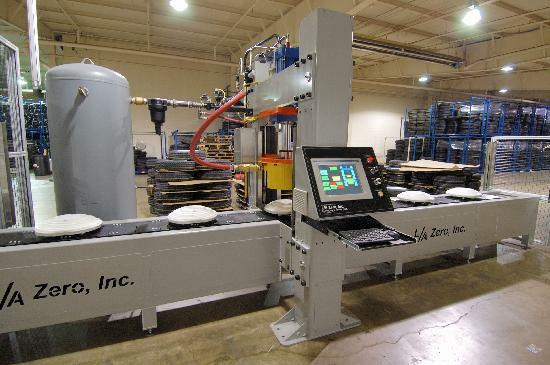 Modifications and or additional equipment can be supplied for your unique application. Please contact us in regards to your special requirements.